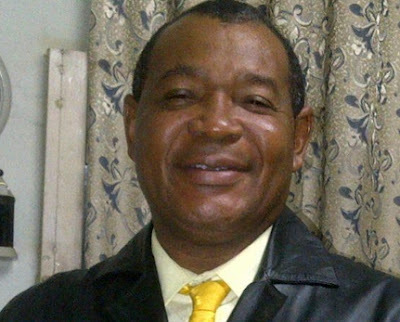 A popular lecturer at Olabisi Onabanjo University in Ago Iwoye, Ogun State, Dr Gbenga Dalley has died. Dr Gbenga Dalley popularly called Chief Gbenga Dalley, the Akinfimogboye of Egbaland met his untimely death in a fatal car accident that happened along Abeokuta/Sagamu expressway in Ogun State. According to eyewitnesses, a speeding vehicle that lost control caused the multiple accident and the Toyota Camry being driven by the Senior lecturer at OOU got involved. 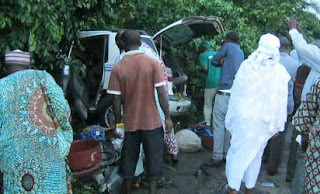 We learnt the accident happened very close to Onipepeye village around 6.25p.m on Wednesday night. The death of Akinfimogboye of Egbaland, Chief Gbenga Dalley brought a lot of tears to the eye of Olabisi Onabanjo University students. His corpse and that of others have been deposited at a local mortuary.